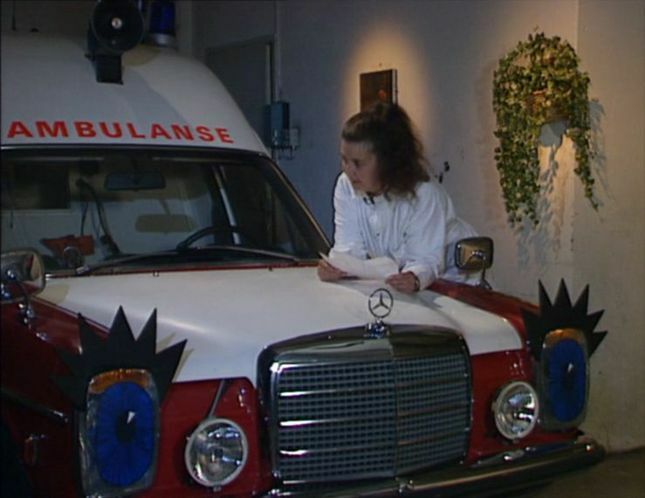 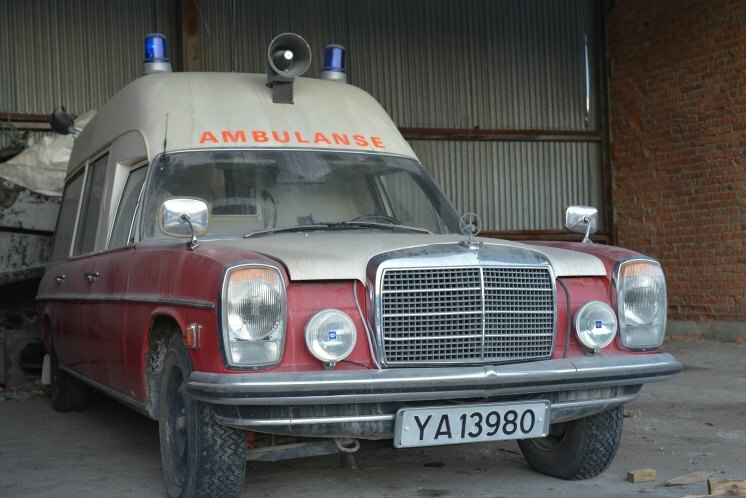 IMCDb.org: 1969 Mercedes-Benz 230 Ambulanse VBK Rescueline 'Sally Sykebil' [W114] in "Pelle politibil, 1993-1997"
I've noticed something interesting: in several season 2 episodes they used a W123 with extra W114 headlights. 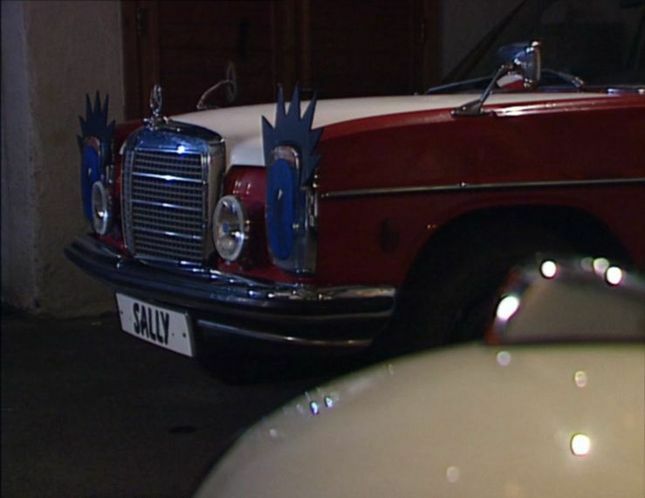 The licence plate is most likely "YA 13980" . 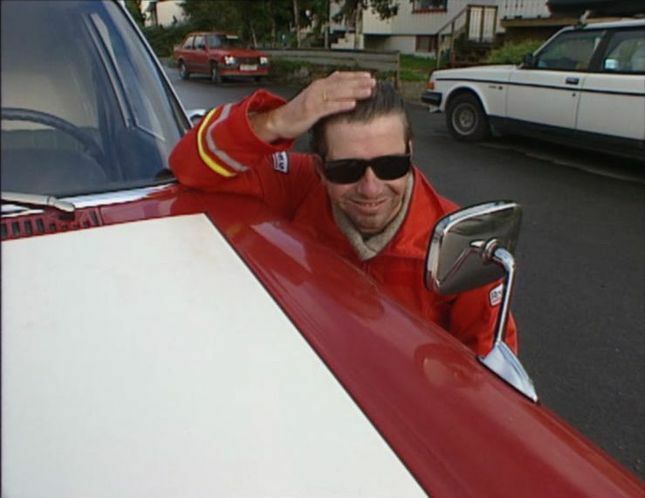 YA? 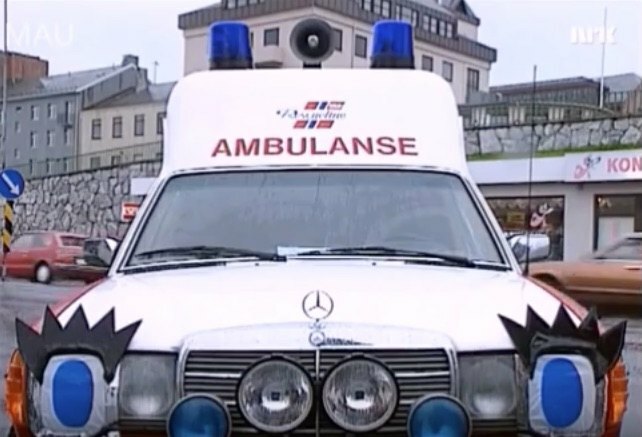 Don't you mean YE? 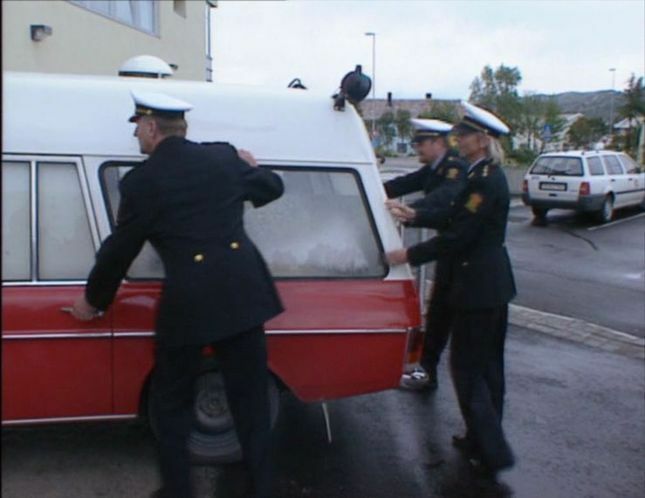 The company who own it is called " Rana Gruber As" in " Mo i Rana" and is located around 230km from "Bodø" where they recorded "Pelle Politibil". 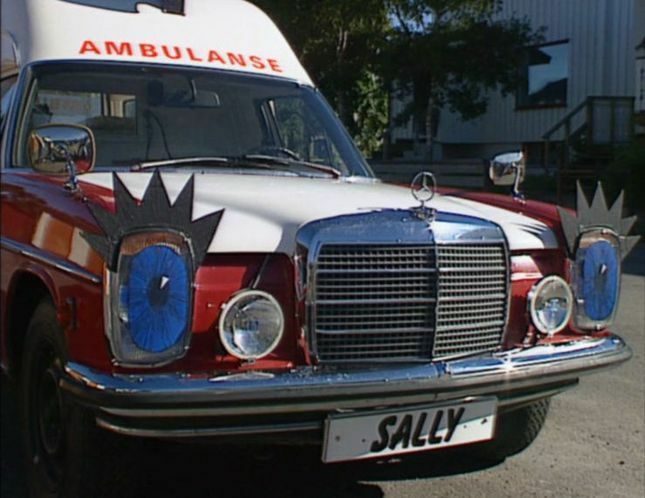 And what happened to Sally #2, the W123? 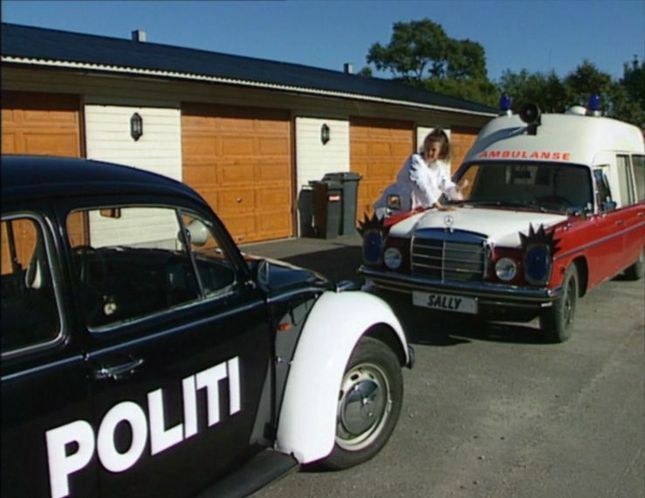 I sendt a email to "salten politidistrik" where at least 1 of Pelle Politibil is located. 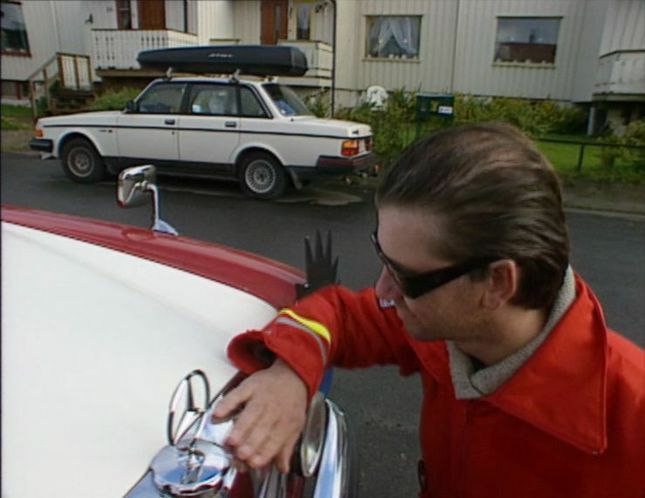 Gamer wrote I've noticed something interesting: in several season 2 episodes they used a W123 with extra W114 headlights. 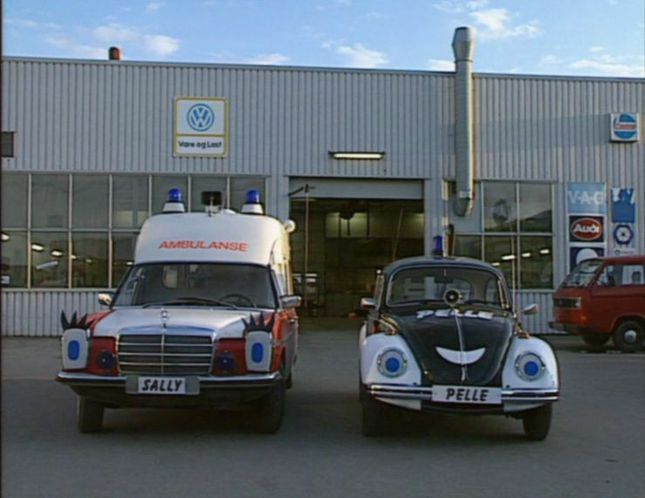 One of these strange things was used in the scene where Pelle and Sally as well as their drivers/owners argue (I don't know about what, as I don't speak any Norwegian) which ends in the two cars starting their sirens. 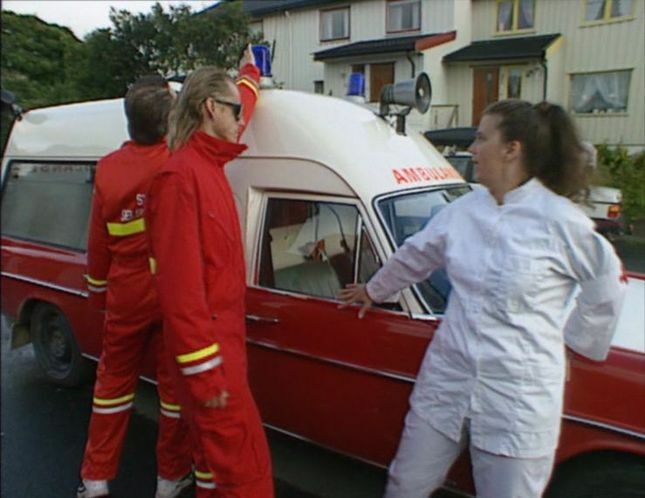 EDIT: Season 2 Episode 1... 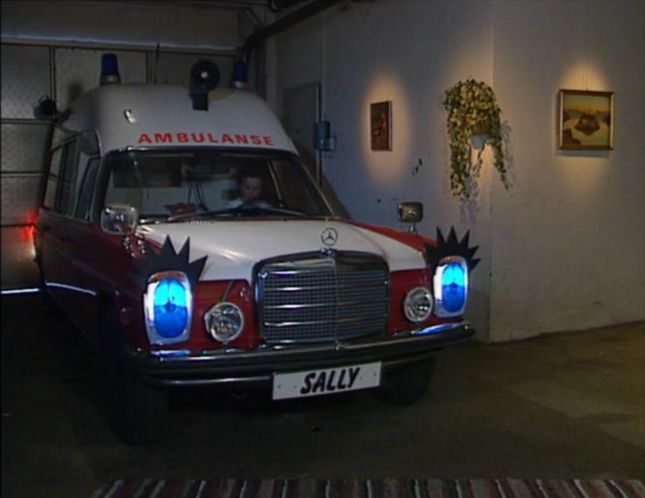 I have actually not added that one yet (I could do that). 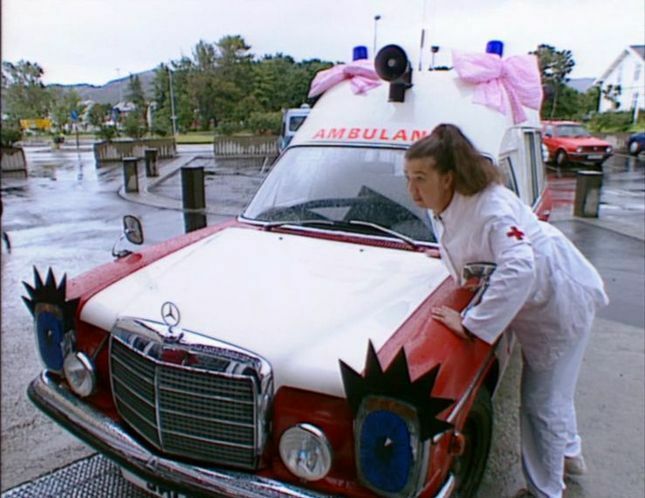 I initially mistook the 1997 season for season 2, but it turns out that season 2 was made in 1994 and not released on DVD. 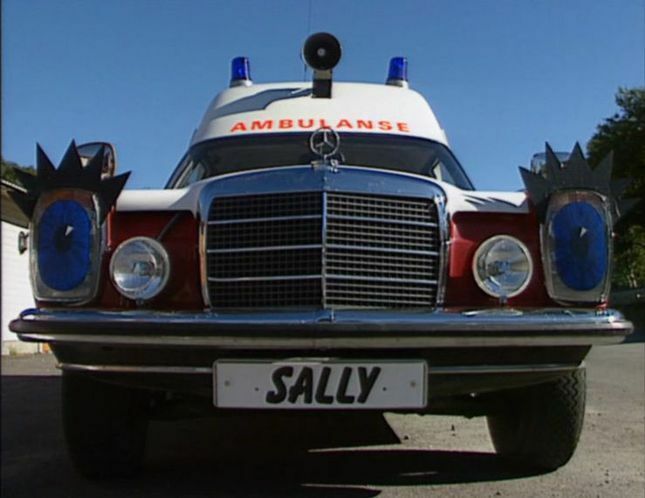 Made a separate entry for Sally #1, as she's identifiable as a 1974+ model. 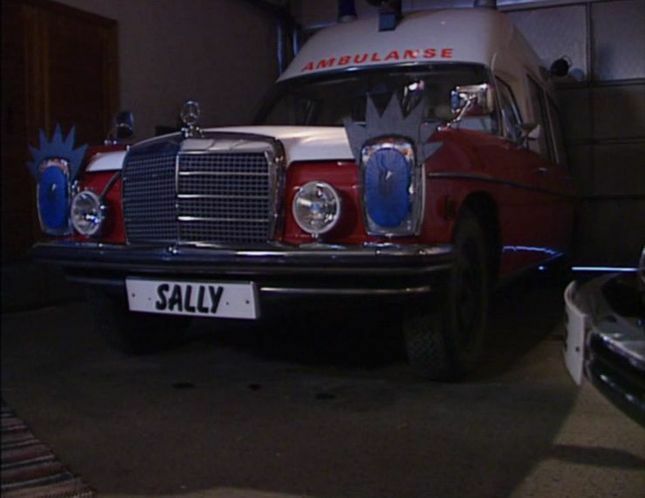 Entry for Sally #2 (W123) will follow soon. 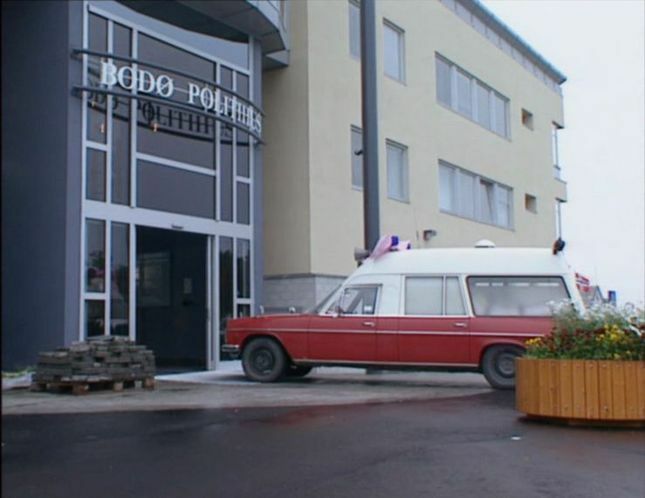 ^ maybe it's because S3 was filmed at the new Police station in Bodø, whereas the first two were filmed at the old one.